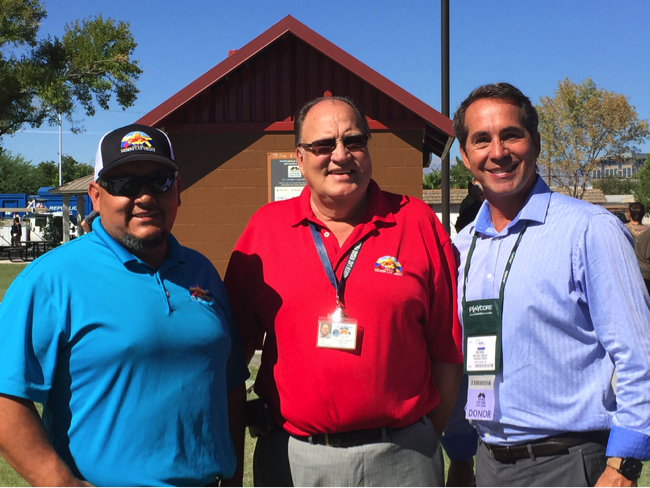 Joe Kneip Park in the city of North Las Vegas, Nevada, underwent a complete makeover in conjunction with NRPA’s 2015 Annual Conference. This is where NRPA’s Parks Build Community comes into play. Made possible through generous donations from companies that make parks better, Mirimichi Green helped give Joe Kneip Park a mega-dose of TLC. After two months of surgery, the new Joe Kneip Park is looking and feeling great, ready for another few decades of hard work for a hardworking neighborhood. The new soccer field has grown exceptionally lush and resilient thanks to Mirimichi Green’s donation of CarbonizPN premium soil enhancer. The new soccer field will transform the open field into a gathering place for the community to cheer on neighbors and friends.